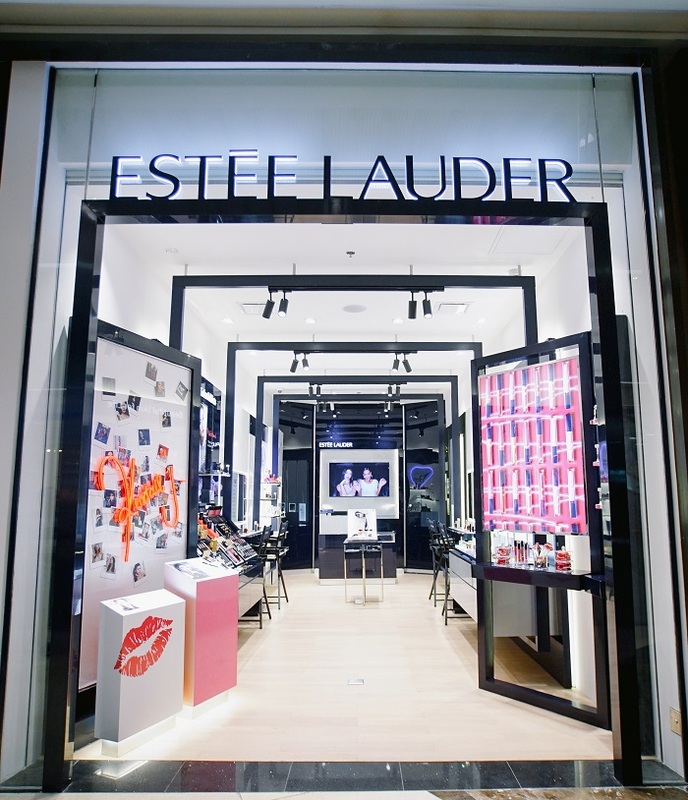 Welcome to SM Aura, Estee Lauder! 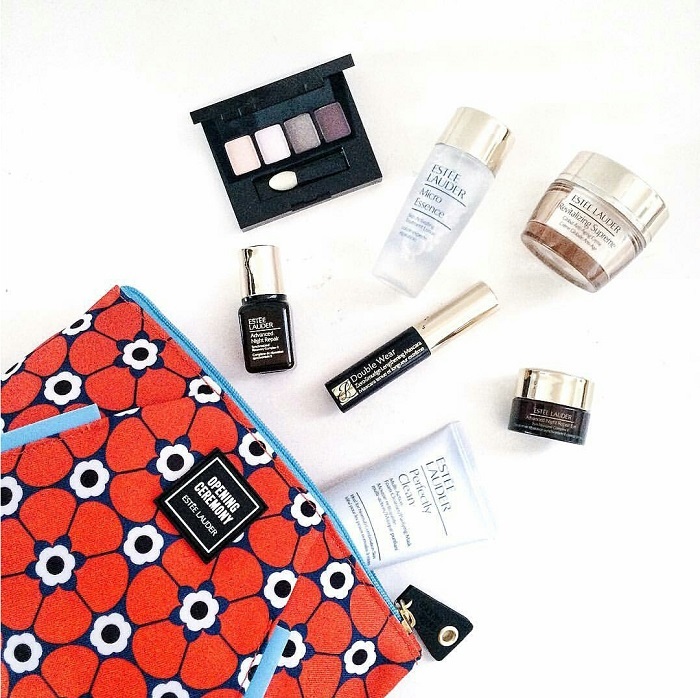 When it comes to tried, tested, and proven skincare and daily luxuries, I think you can easily tell that Estee Lauder is on my top 3 list. I can go on and on how Advance Night Repair (ANR) is an absolute must have for me and my mom. 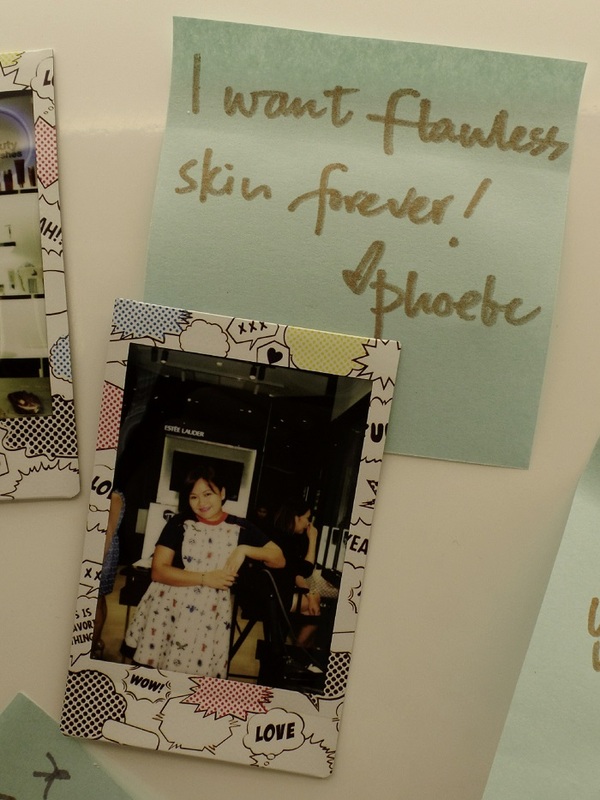 :) Both of us can spend an entire afternoon lazying around in their Shangri-la branch couch trying on lipsticks and fragrance all day. Learning that they finally opened a free-standing store near home, imagine how this made our silly hearts beat! 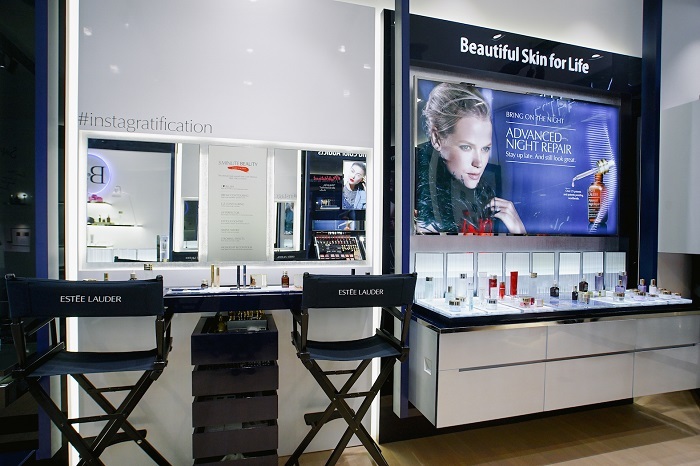 Located at the Level 1 of SM Aura, the store features Estee Lauder’s #beautyplayground store design concept, making it comfortable and enticing to walk and play around. The store is divided into different play areas for different cups of tea. Upon entering, you will be greeted by Kendall’s corner on your left. 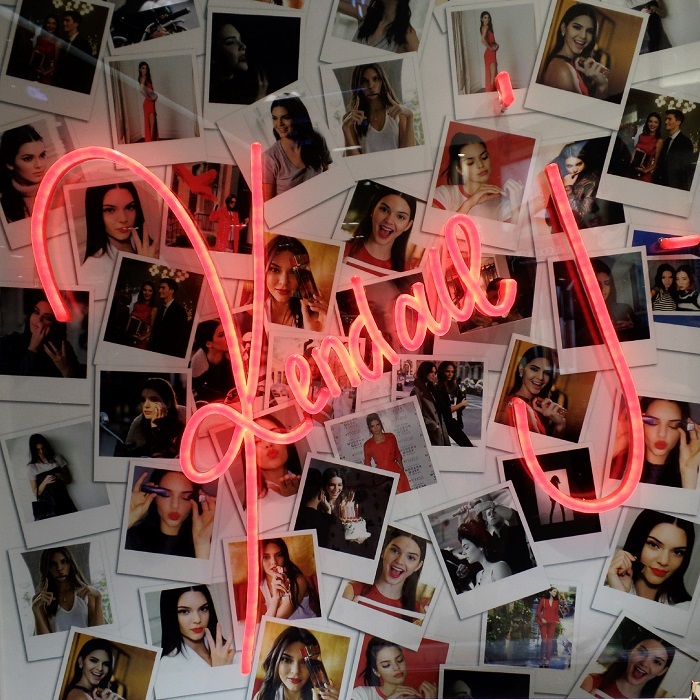 It’s fun and bursting with Kendall Jenner’s equally bright and sparkly personality. 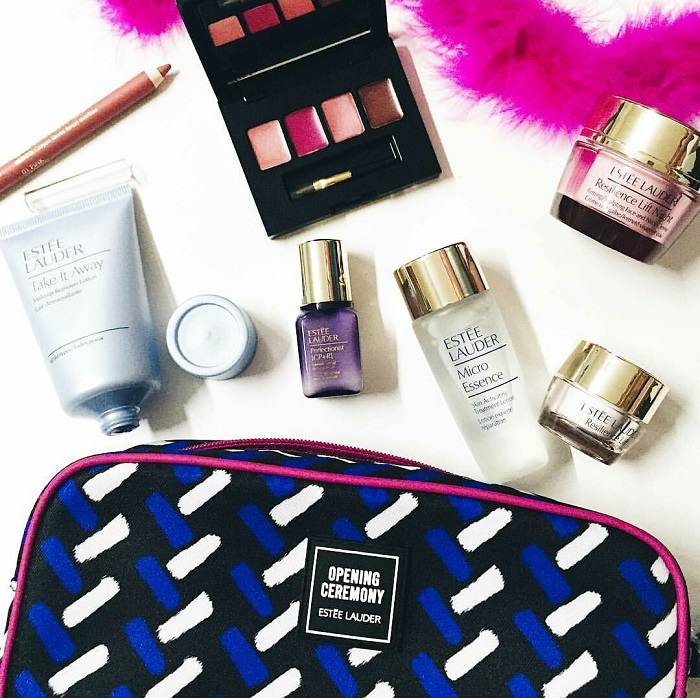 Here, you will discover her current favourite Estee Lauder products. On her current rotation are the Pure Color Envy Matte Sculpting Lipstick in Restless, Pure Color Envy Sculpting EyeShadow 5-Color Palette, and Double Wear Extreme Zero Smudge Mascara in Black (a personal favourite to avoid panda eyes!). 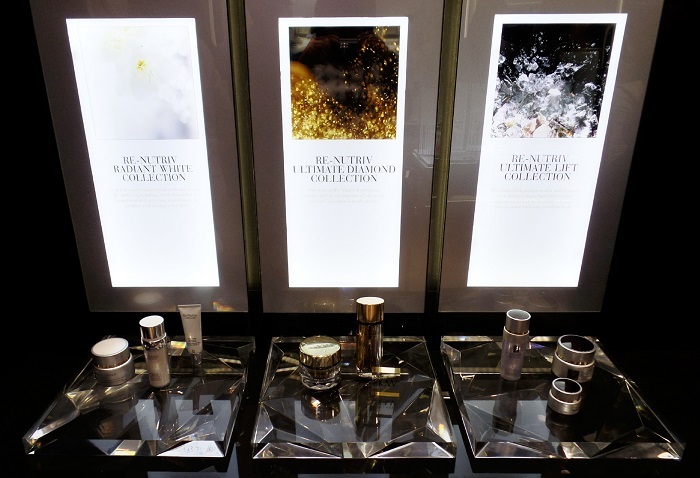 Walking further to your right is the Beautiful Skin Studio where you can have a complimentary service from their prized, 3 Minute Beauty Menu. What’s on the menu? 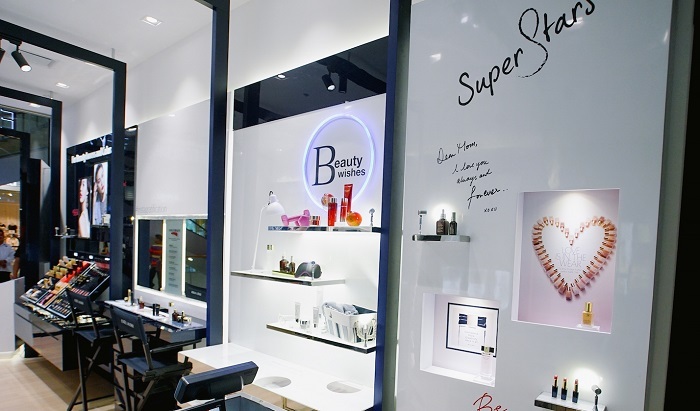 Opposite the Beautiful Skin Studio is the Superstar Wall and Beauty Wishes corner where you can checkout the brand’s best sellers and post your own beauty wishes before availing of consultations with their Beauty Advisors. Ready to shop your beautiful heart out? For a limited time only, purchases of Php 4000 at the SM Aura boutique and above will merit you an exclusive Opening Ceremony pouch with travel sized beauty candies worth over Php 6000! Checkout the kits of Nikki and Shebby! 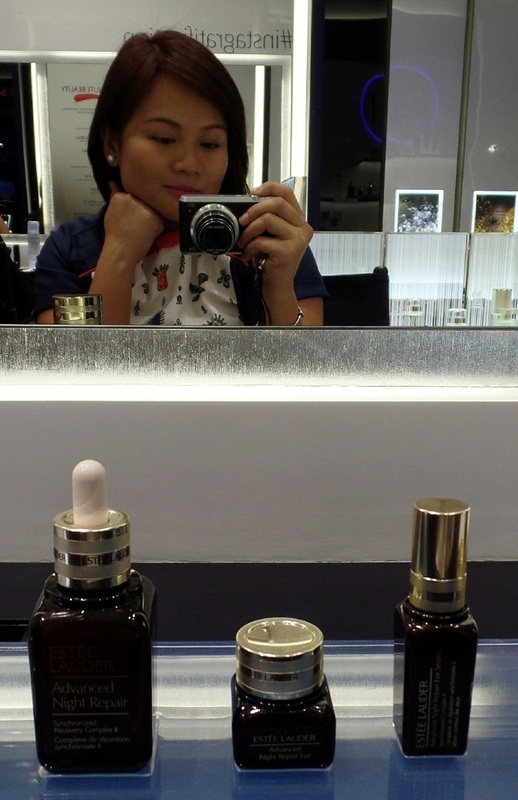 Visit Estee Lauder SM Aura, or call to set up a service appointment at +63 9065697295. 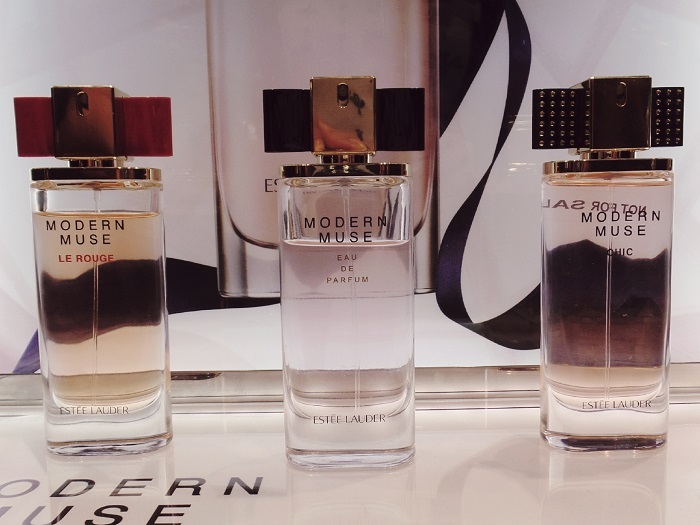 For more information, follow Estee Lauder on Facebook at www.facebook.com/EsteeLauderPH.